innovative OLED display and its impressively tidy, simplified user interface. A free software update is available via the USB interface at any time. 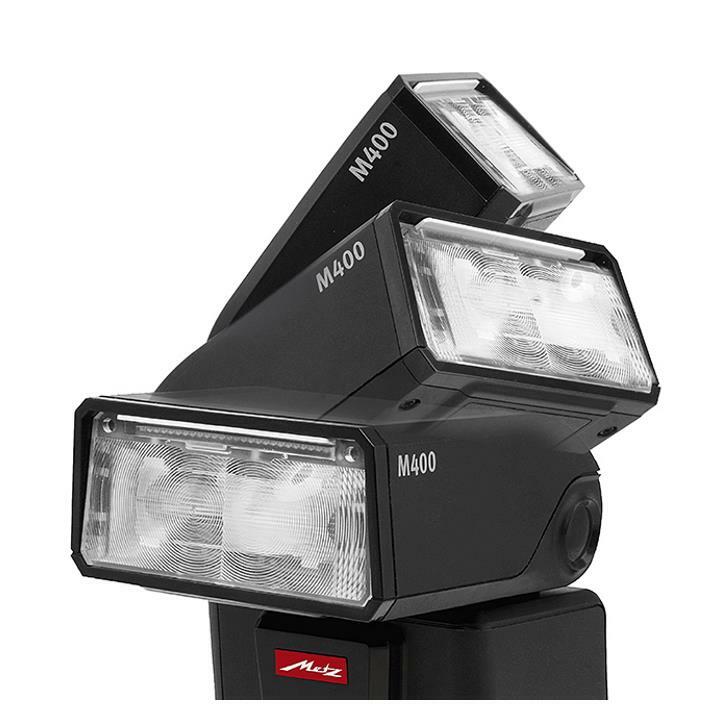 The mecablitz M400 represents a new generation of compact flash systems. 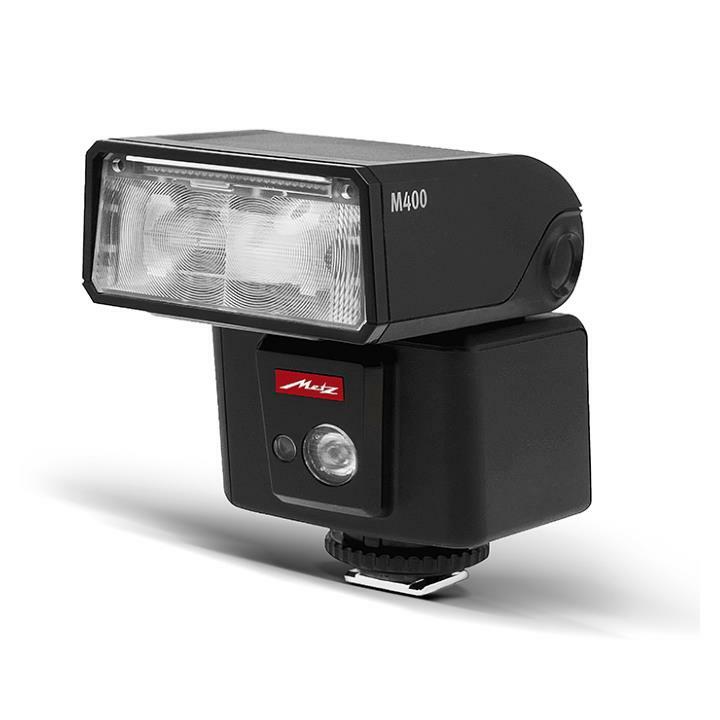 It is especially suited to mirrorless system cameras and is ideal for any photographers or film-makers looking for a convenient flash unit. The mecablitz M400 is also highly equipped and leaves nothing to be desired. The maximum guide number of 40 for ISO 100 is capable of handling almost all shooting situations. 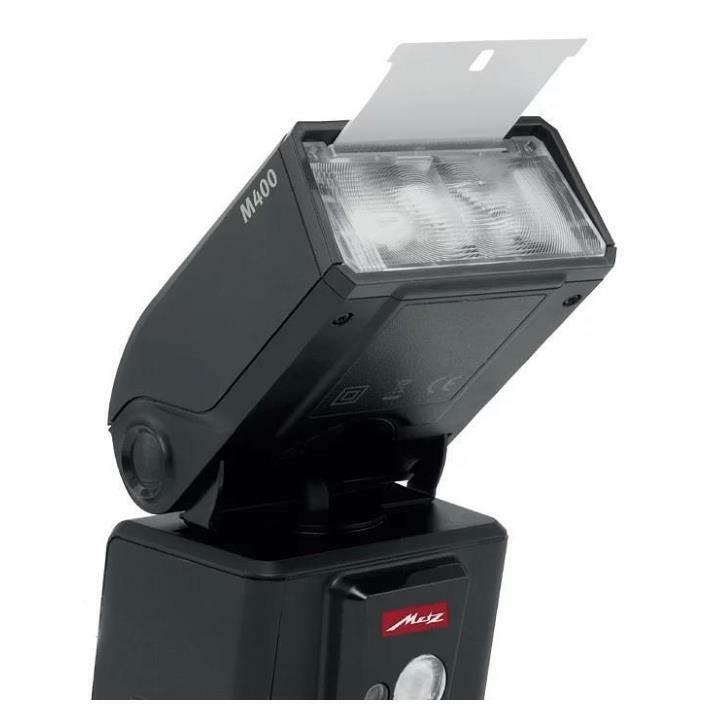 Versatile lighting options are provided by the motor zoom function (24-105 mm), the fully pivotable reflector with removable reflector card and the integrated wide-angle diffuser (12 mm). The M400 is also ideal for wireless operation, be it TTL or servo. As for usability, the M400 also sets new standards with its innovative OLED display and its impressively tidy, simplified user interface.